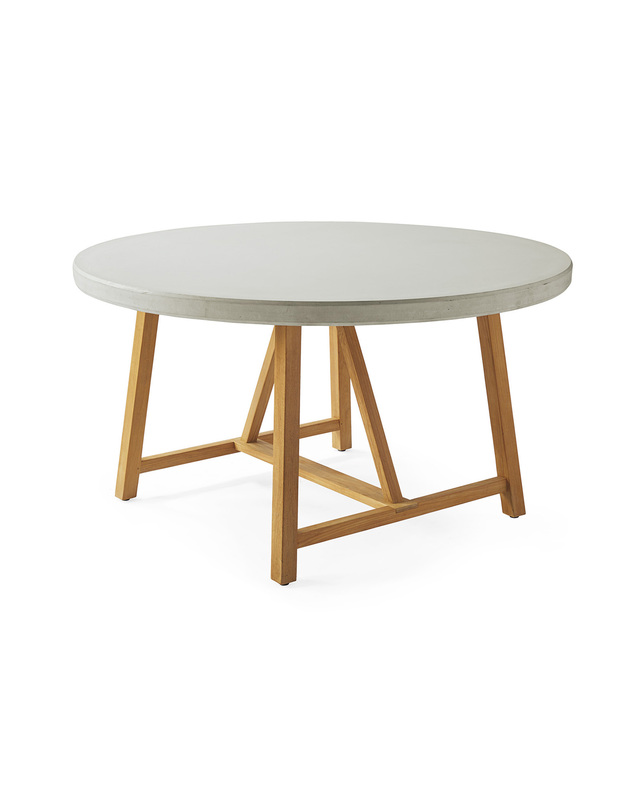 Terrace Teak Dining TableTerrace Teak Dining Table, Fog alt="Terrace Teak Dining Table, Fog"
Print This table is all about balance: the round and the angular, cool finish against warm, and a mix of weather-friendly materials that sit well indoors or out. It’s about character, too, which is why the reconstituted stone top has been carefully designed with the subtle imperfections you’d expect from natural stone. Base is made of solid Grade A teak. Top is made of reconstituted stone. 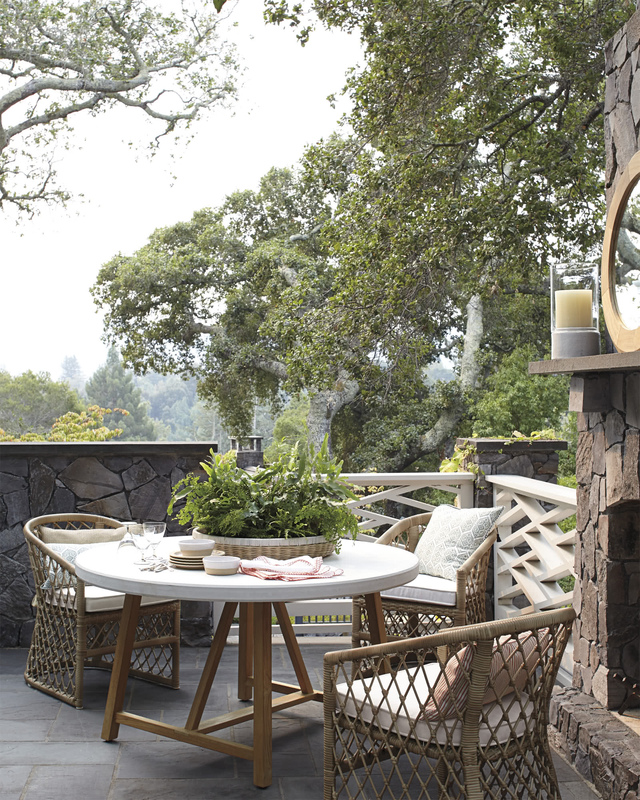 Apply teak oil to the base 1-2 times per season to maintain the original finish. Blot spills immediately and wipe with a clean, damp cloth to prevent staining. Clean with mild soap designed for natural stone. Rinse thoroughly. Use coasters, trivets, placemats, or felt pads to protect the finish. Do not place hot dishes directly on the table; use felt-backed placemats to preserve the beauty of the stone. If left to the elements, nonstructural hairline cracks may appear on the tabletop, lending the look of natural, beautifully aged stone. This will not impact the integrity of the structure. Teak and reconstituted stone will develop a beautiful, silvery grey patina over time. Avoid hitting the tabletop with other objects as this can chip the surface. To prevent structural cracking, do not sit or stand on the tabletop. Teak Base: 35.5”W x 35.5”D x 30”H.